It's Black Friday, then Small Business Saturday and after that Cyber Monday - all American sale and shopping traditions that have become a real part of online shopping around the world now. So most everyone has some kind of sale or special this weekend, if you are inclined to shop, maybe for gifts even. Sew Sisters Quilt Shop is ready to start their Stuff your Stocking event. You register for special savings offers and then buy the special only if you like it. Your order arrives in time to fill your stocking with things you love, while you focus on filling those of the rest of your family. This is a great idea you might want to mention to those folks in your life who might want to get a gift or two for you. Yes, that's right, the Fat Quarter Shop has 25% off the entire store until Saturday November 29, at midnight CST. 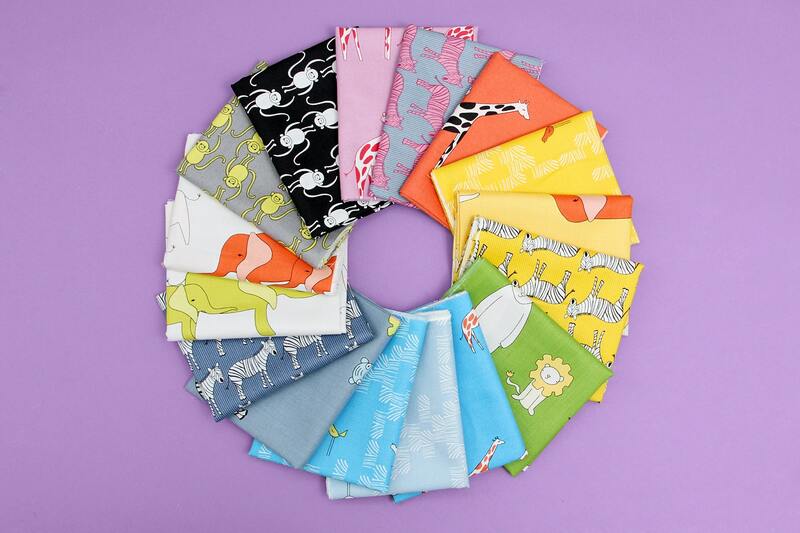 Massdrop has a few great deals on right now, including this one for yardage of Zaza Zoo. 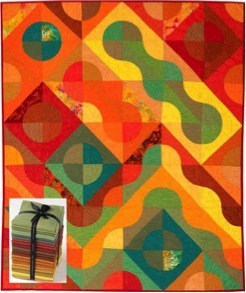 This weekend Green Fairy Quilts has their Jelly Rolls on for $26.89 which is a fantastic price. They have more specials being announced this weekend, on Small Business Saturday check out their Fat Quarter Bundles and on Cyber Monday watch for a deal on Layer Cakes. 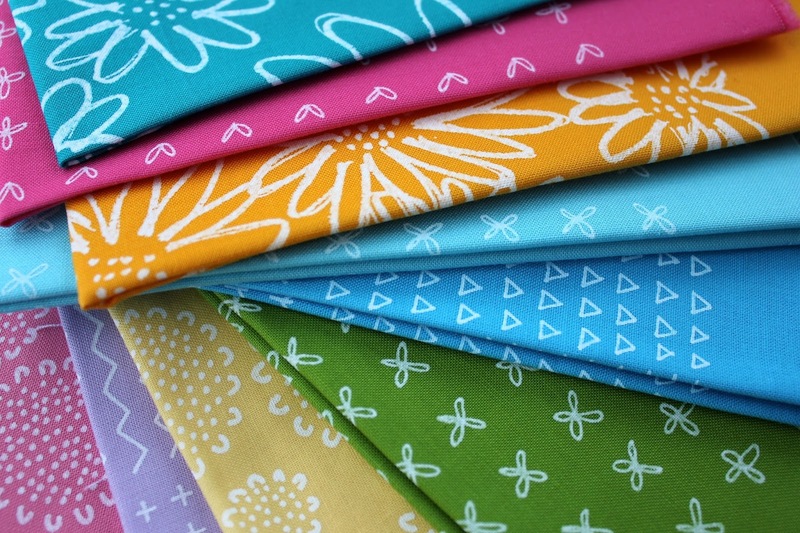 Oakshott Fabrics keeps adding more beautiful free patterns, this latest is called Walk in the Woods by Heather Hasthrope. 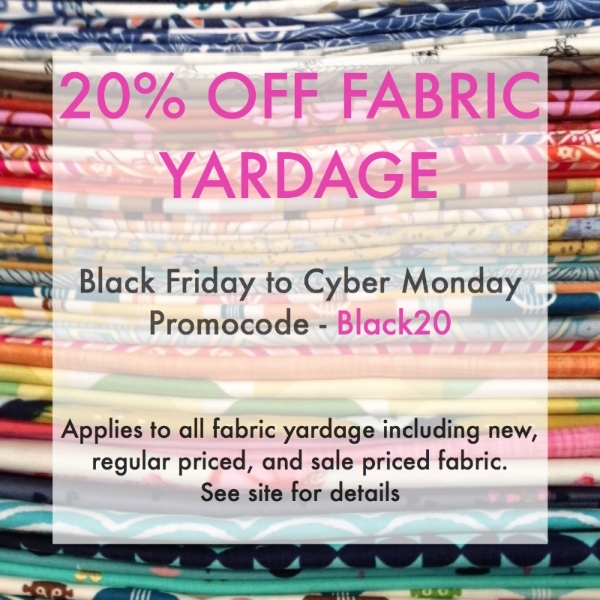 Fabric Spark has 20% off all fabric yardage through to Cyber Monday. Use the code Black20 at the checkout. 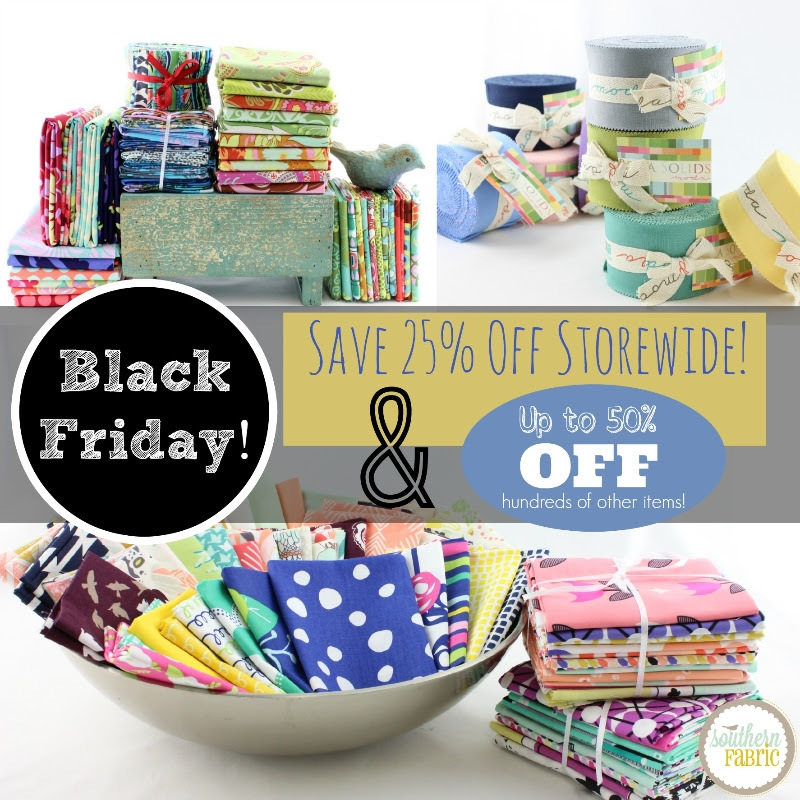 Southern Fabric is featuring 25% off storewide, with even greater savings on many items. The store is well stocked with beautiful fabric for the sale too. 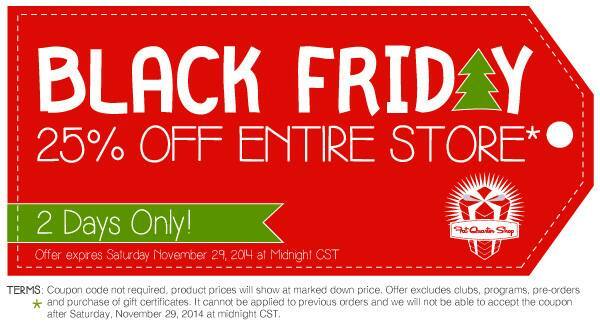 Fluffy Sheep Quilting has 20% off the entire store from Black Friday to the end of Cyber Monday, Dec. 1. Enter the code Black at checkout. 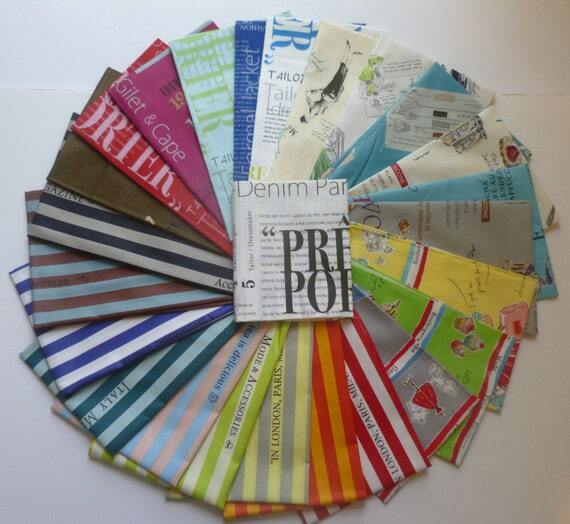 Cindy has a bunch of new fabrics in too, just in time for the sale. Becca over at Sew me a Song has a Thanksgiving Shipping special from now thorough Cyber Monday of $ 0.99 in the USA, $5.99 in Canada and $8.99 to Everywhere Else in the world and the shop is full of the most fantastic fabrics and bundles. 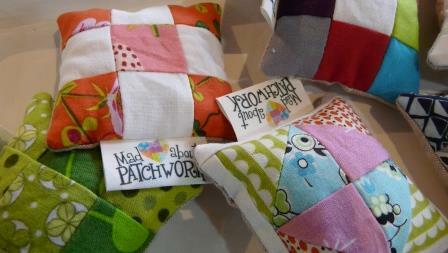 Mad about Patchwork is having a Handmade for the Holidays sale November 28 – December 7. There are kits, all notions (rulers, thread, interfacing), pre-cut charms and rolls, flannel and fleece on sale at 15% off with the coupon HANDMADE until December 7. All purchases over $60 will receive a bonus gift, a one-of-a kind handmade pincushion with the Mad About Patchwork label. And in the holiday spirit of giving, Mad About Patchwork is donating a portion of all sales from November 28 – 30 to The Snowsuit Fund. The Snowsuit Fund is an Ottawa-based charity that raises funds for the purchase and distribution of snowsuits to needy children in the community.